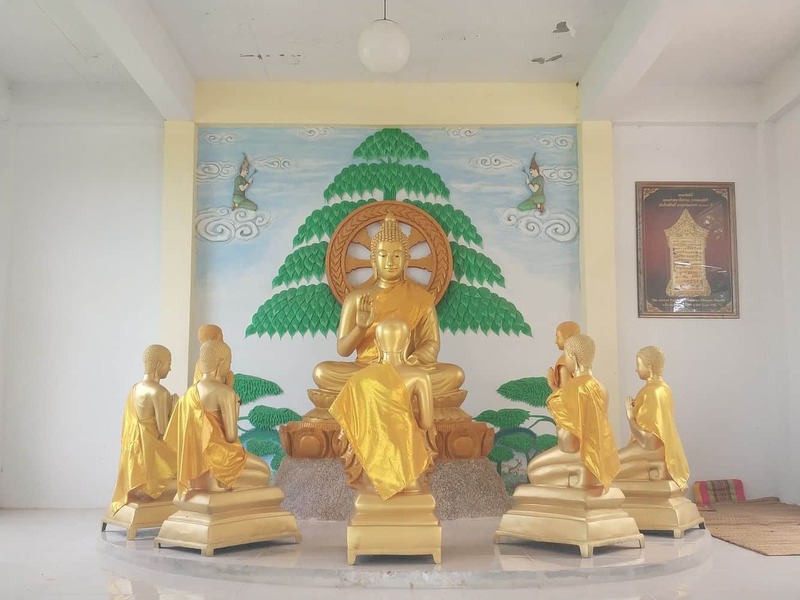 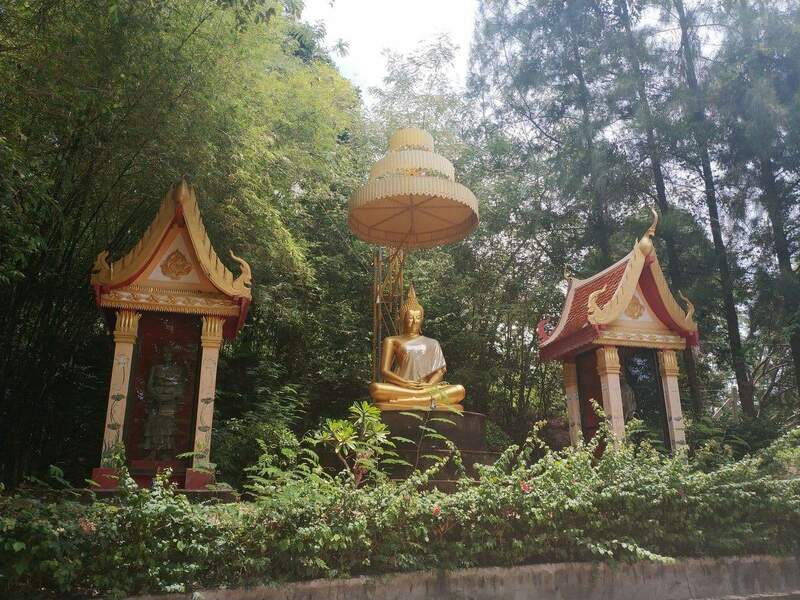 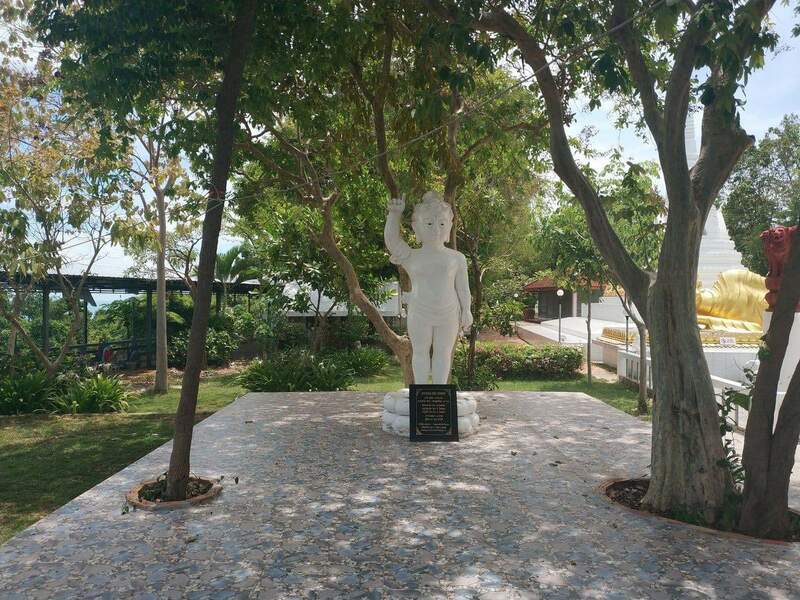 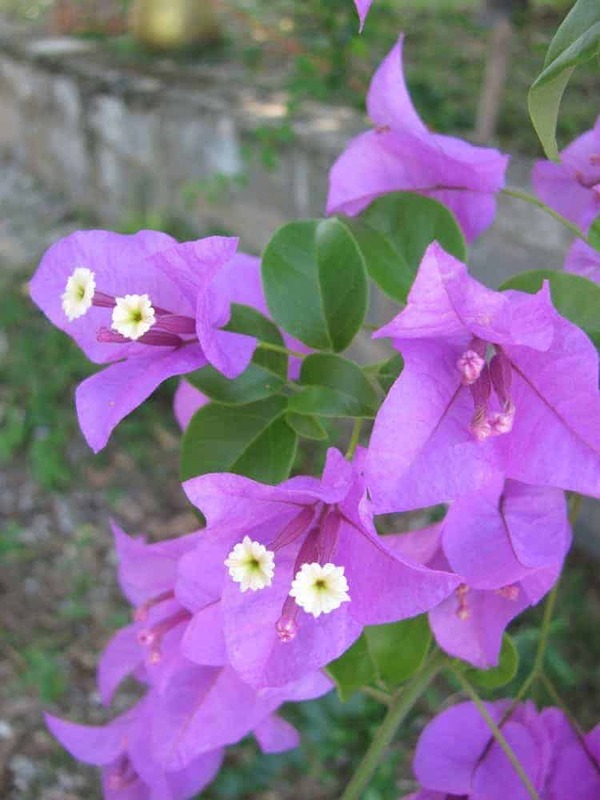 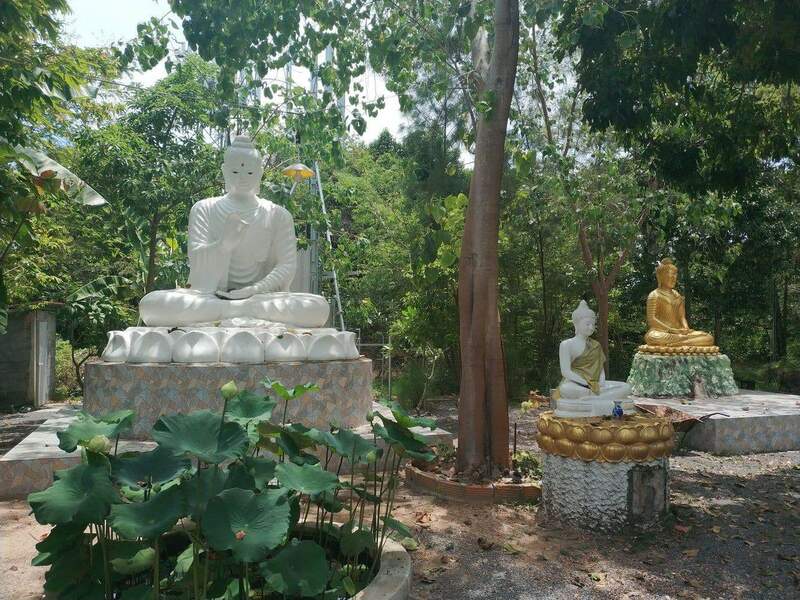 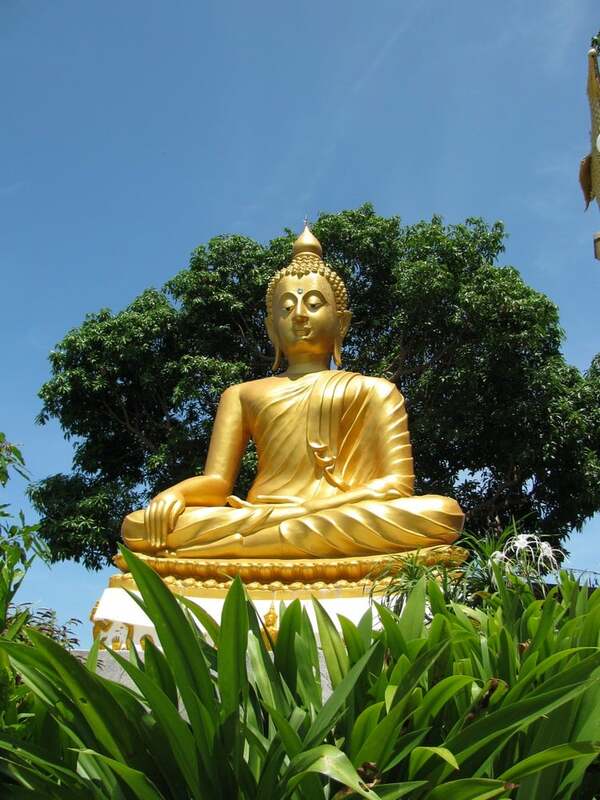 Wats in Koh Samui are generally separated into two categories; the original Buddhist wats and the Chinese temples. 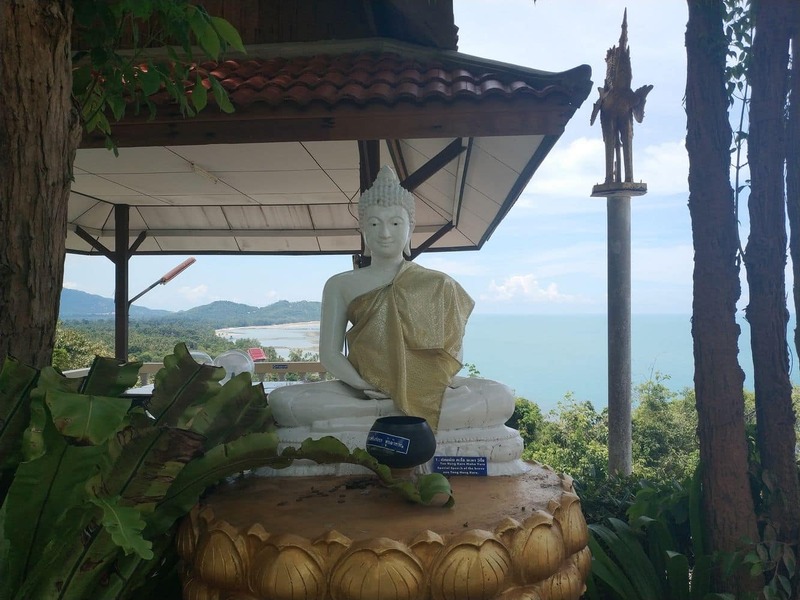 The latter are inspired by original Chinese-Thai culture which was initiated by Chinese immigrants when Koh Samui was settled. 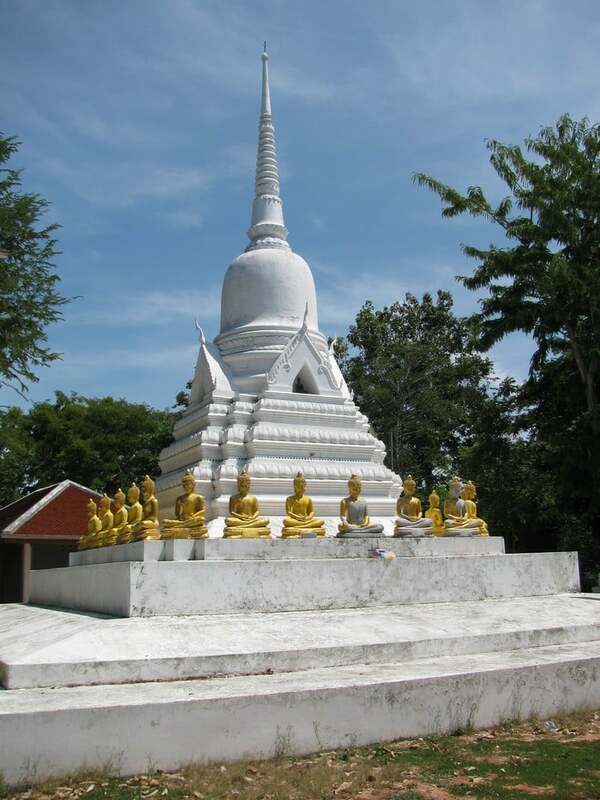 The wat of Khao Chedi is a pagoda that originates from Thai culture. 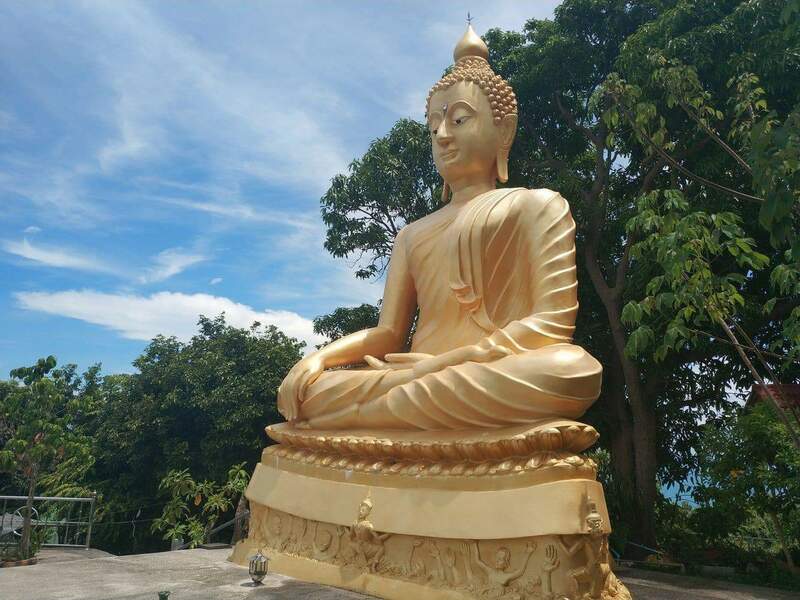 It was built in the Srivijaya-style and sits on a hilly terrain above Laem Sor. 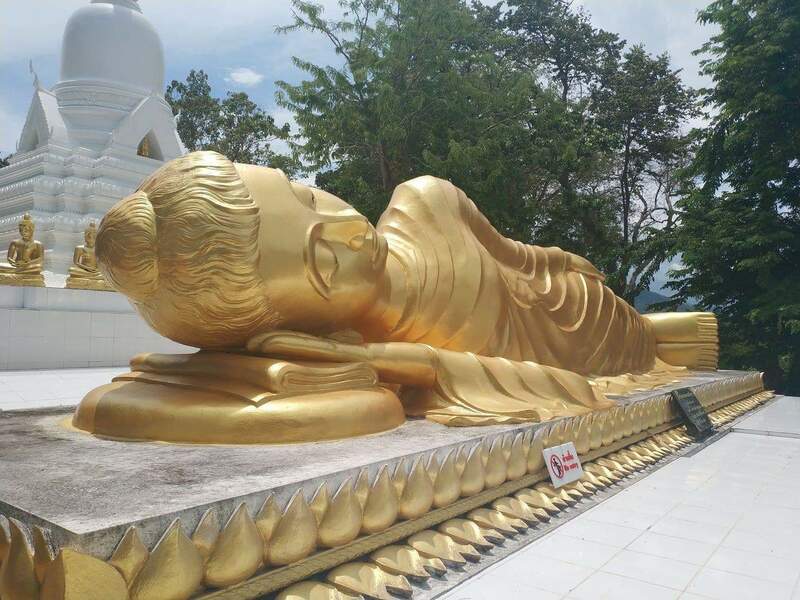 Visitors who want to visit this wat will have to hike up a hill in order to reach the wat. 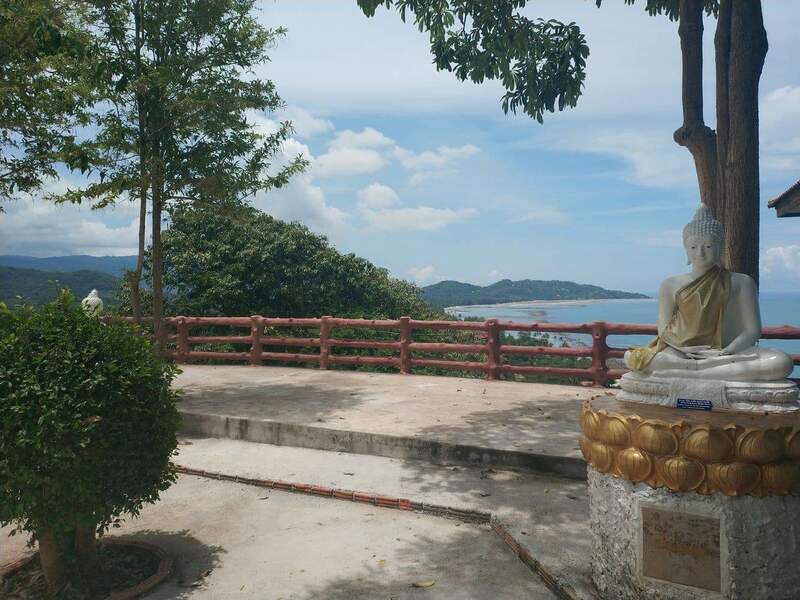 Many locals also call this Laem Sor Pagoda, however the original Laem Sor Pagoda is near Bang Kao Beach. 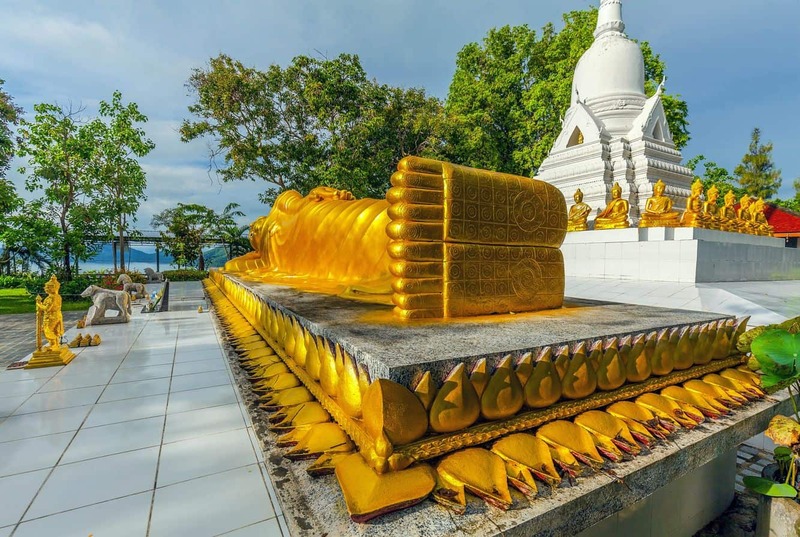 As the wat is on the top of the hill, it can be viewed from a distance as the striking gold colour stands out in the sunlight. 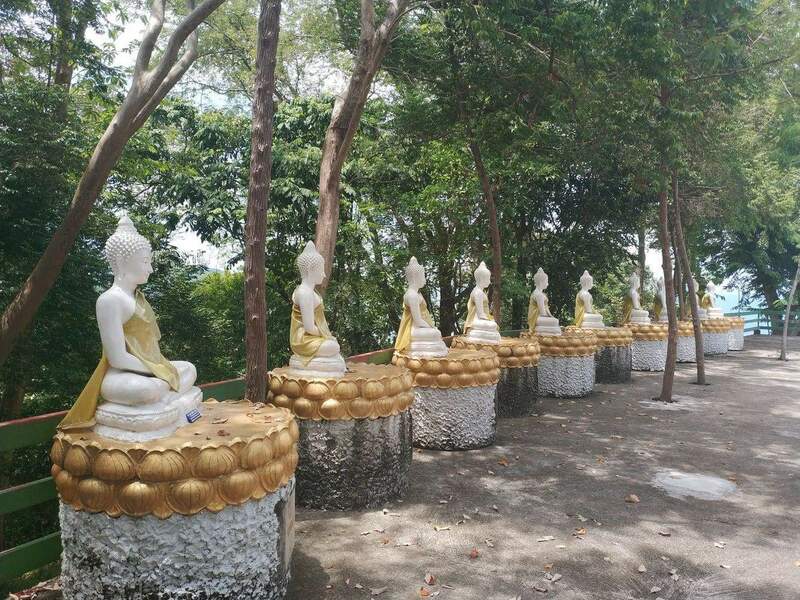 Visitors should take a stroll across the hilltop in order to view some of the many vantage points in the area. 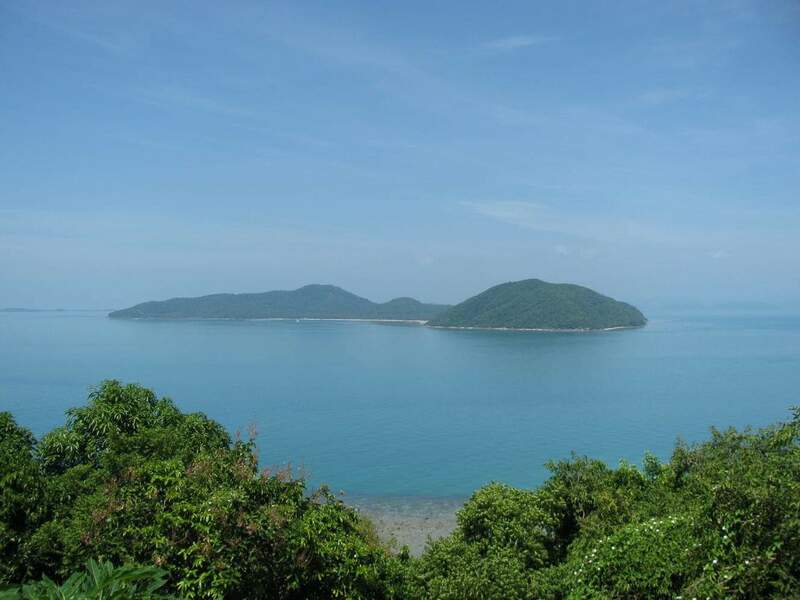 From the various vantage points, visitors will enjoy the spectacular views of the Bang Kao Bay, Suratthani Mainland and nearby villages. 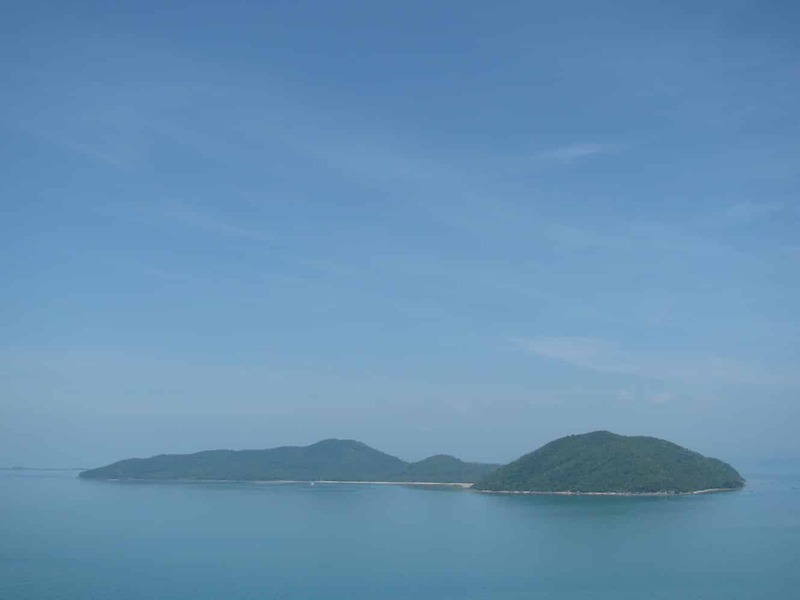 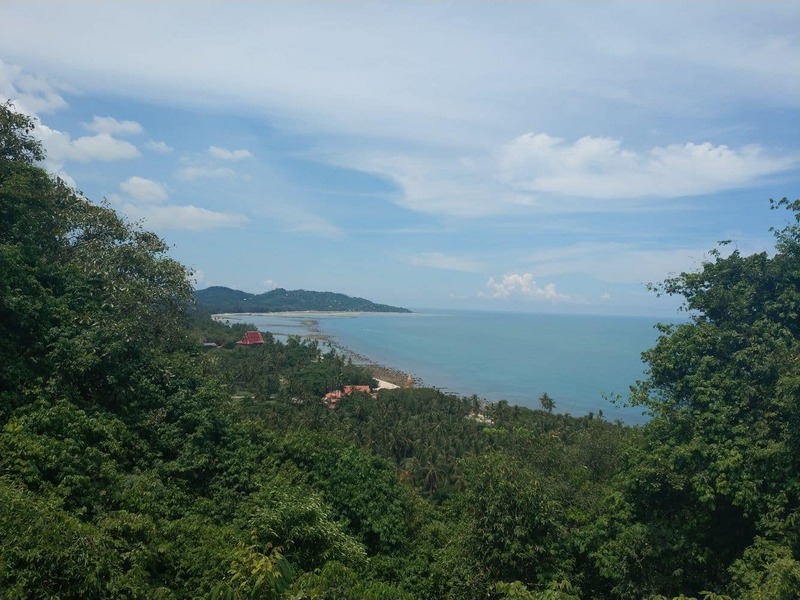 The panorama of Laem Sor and Bang Kao Bay is breathtaking from many places on top of the hill. 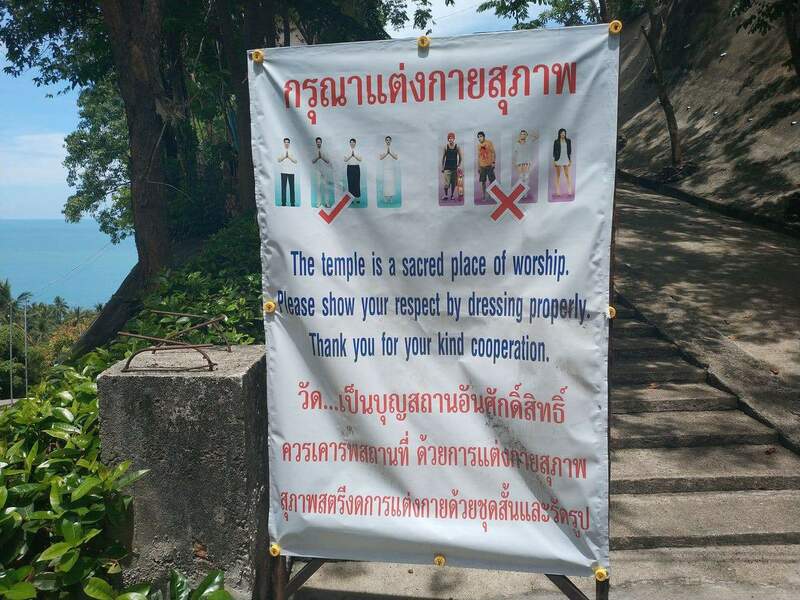 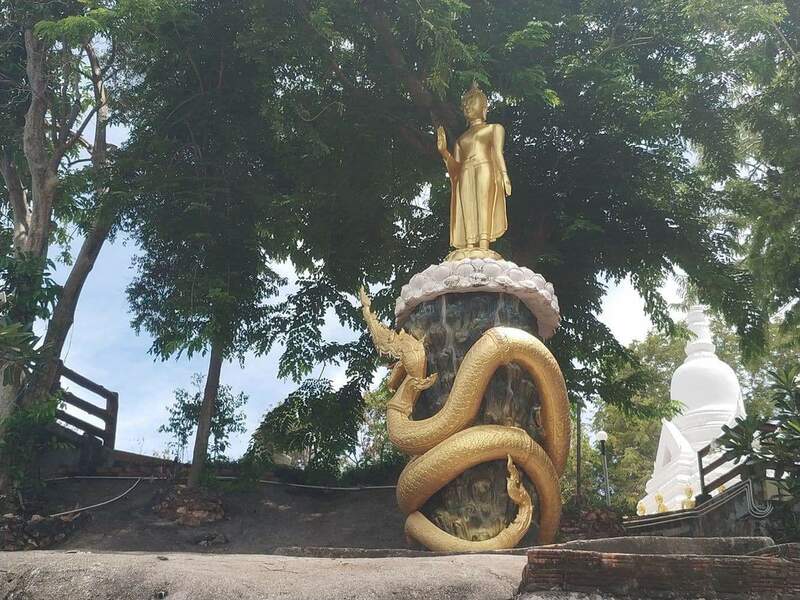 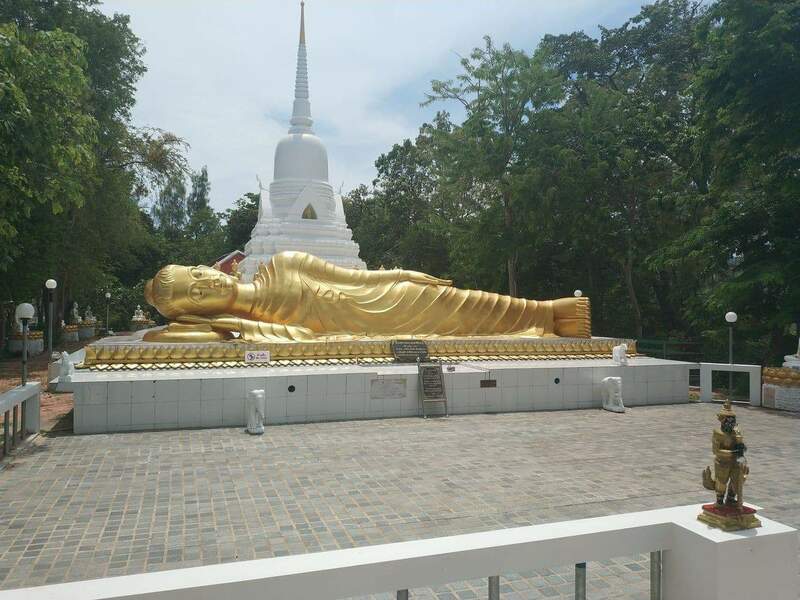 Visitors can take the 4170 route near Lamai to reach this wat. 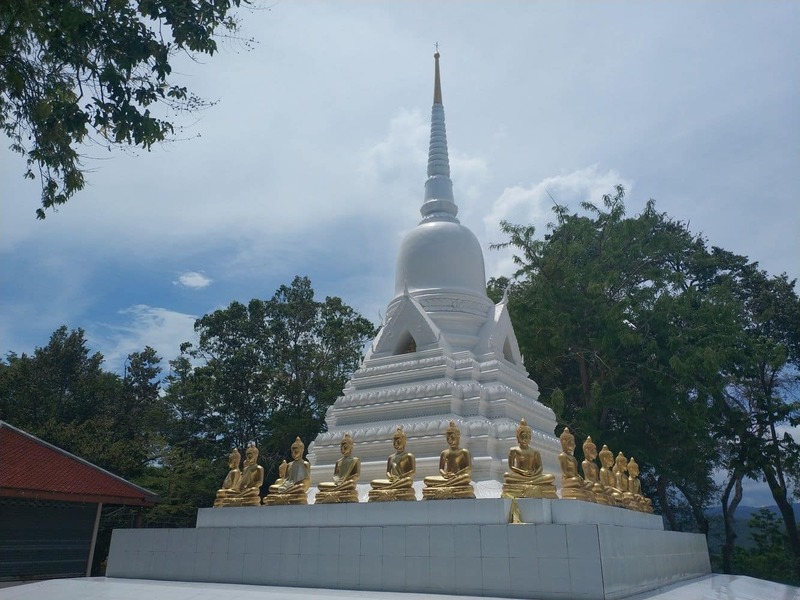 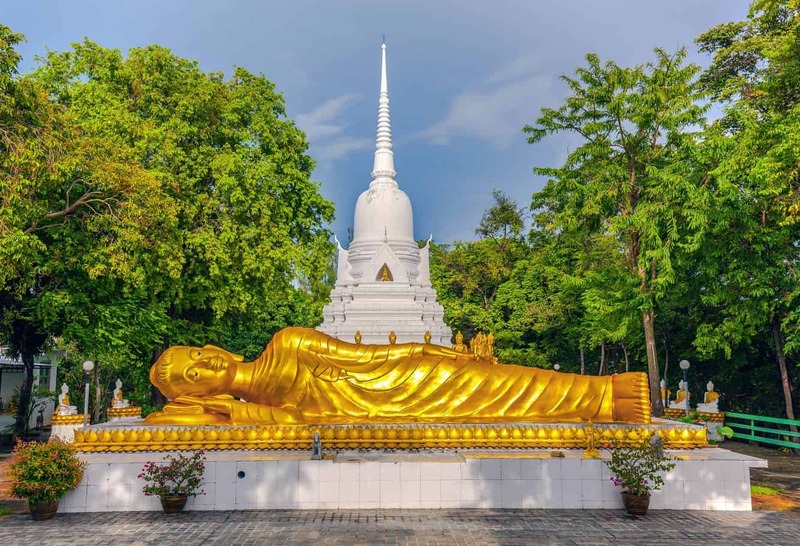 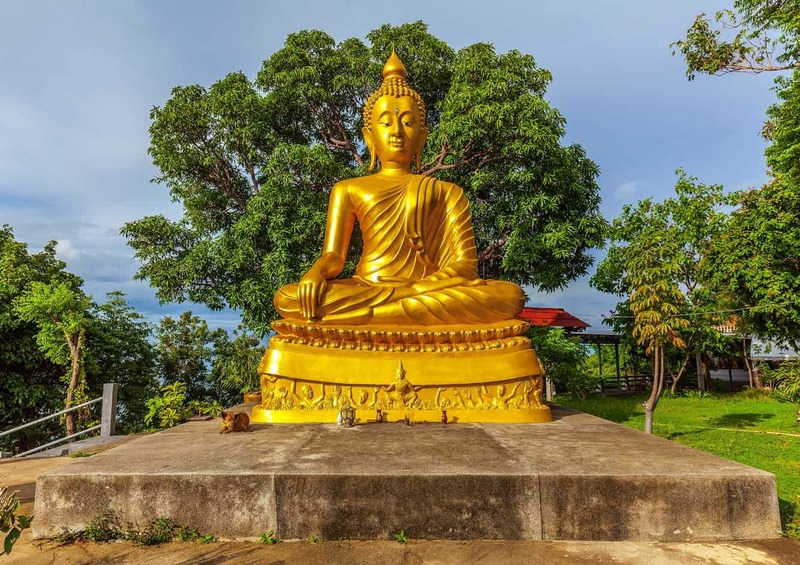 The ruined monuments of Khao Chedi wat have become a point of interest for many history buffs and, more recently, the ruined monuments of this chedi have been re-discovered. 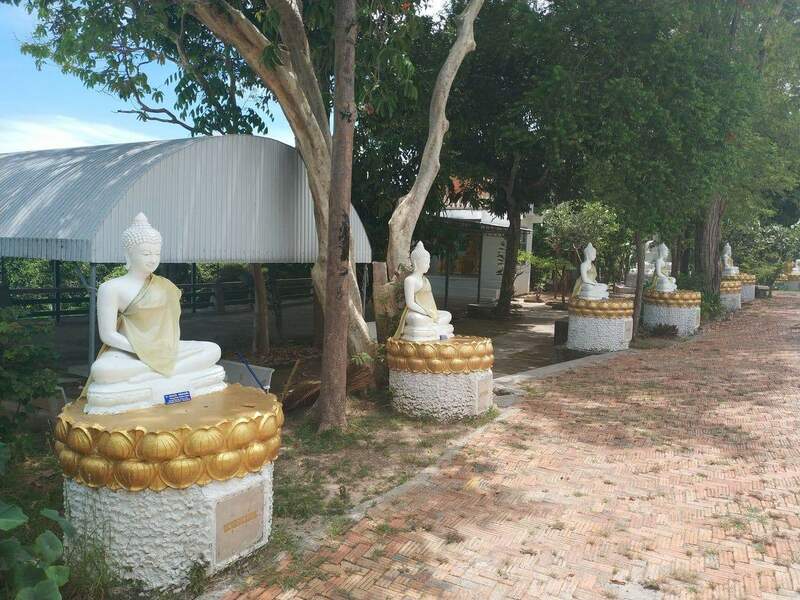 The wat’s unique monuments and sculptures and the the overgrown path to the chedi have now been cleared and visitors can access the west side and the peaceful ruins easily. 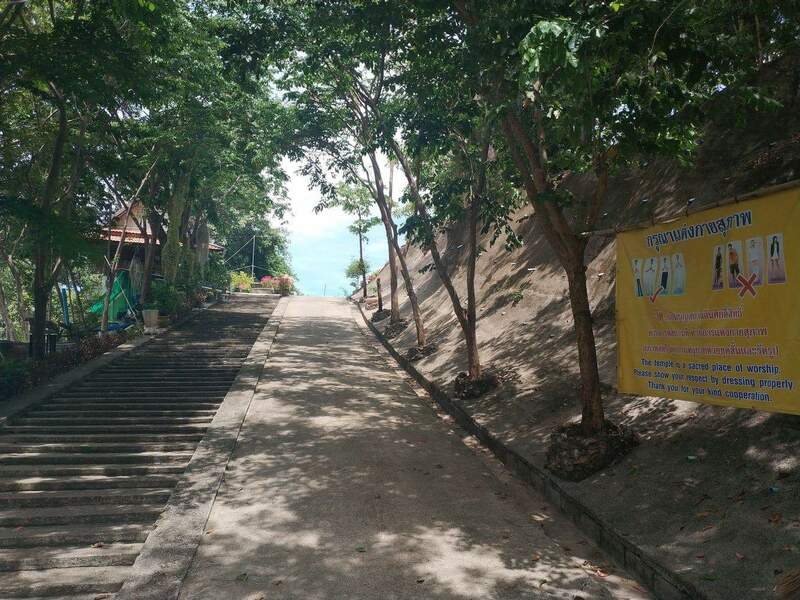 The hilly terrain is very scenic and those coming here on a day trip can take the hiking trail and explore the wat at their leisure.